Okay! In this particular post I have 3 slightly different chocolate chip muffin recipes (really, they just use different chocolate). All are delicious. Pick the one that's right for you. This recipe is additional to the base muffin mix I posted earlier. Preheat your oven to 350F. Either grease your muffin tin or line the tin with paper cups. Put your butter in a small bowl and microwave it for about 40 seconds. While that's going, mix together all the dry ingredients in a mixing bowl using your fork. 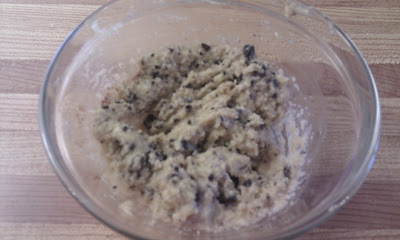 After it is all nice and blended, add the wet ingredients and mix with your hand mixer (or stand mixer). If you are using Lindt chocolate squares, you have smash up the squares into little bits, chocolate chip sized! Fill cups about 1/3 of the way (unless you want bigger muffins, then fill them 1/2 or so) with the batter. An ice cream scoop or cookie scoop works really well for this. If you made 12 medium muffins, bake them for 20 minutes. Take them out, test for doneness (poke with a toothpick). If they are still a little gooey, bake for a minute or two at a time until done. Let the muffins cool in the tin for about 5 minutes, then remove. 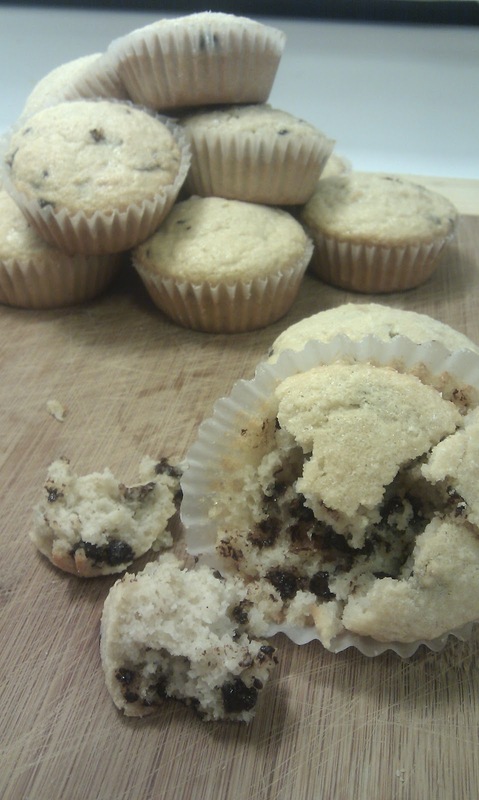 For those of you not using paper baking cups, the longer you leave your muffin to cool in the tin, the harder it will be to remove it without damaging the muffin.